There are around 1,300 species of freshwater crabs, distributed throughout the tropics and subtropics, divided among eight families. They show direct development and maternal care of a small number of offspring, in contrast to marine crabs which release thousands of planktonic larvae. 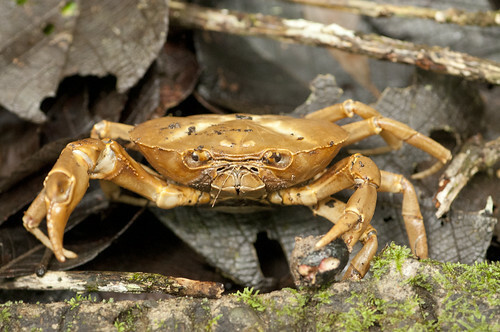 This limits the dispersal abilities of freshwater crabs, so they tend to be endemic to small areas. As a result, a large proportion are threatened with extinction.